Some headache! The morning after the party to celebrate 30 years of DOCG status in the ancient Tuscan town of Montepulciano, winemakers were making their way to Brussels to confront the European Union’s decision to change Vino Nobile di Montepulciano DOCG to simple “Montepulciano”. What’s the problem? Montepulciano has 6 syllables already, that is enough for a name isn’t it? And isn’t Montepulciano just a cheap red wine found in most supermarkets for around £5? What’s the problem with shortening it? 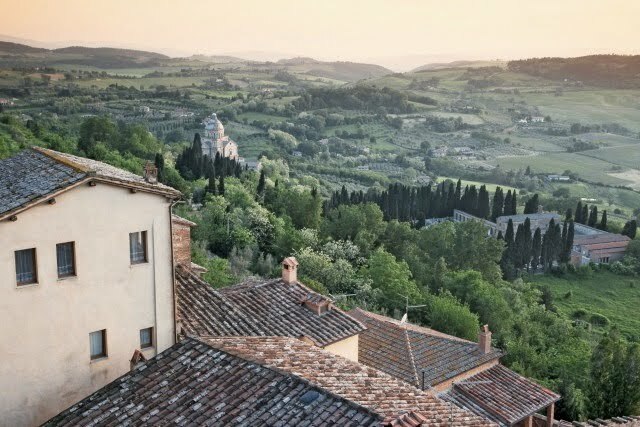 The problem is this: say Montepulciano and most people think Montepulciano d’Abruzzo, the cheap and cheerful red Montepulciano grape from the next state, Abruzzo. Not the Sangiovese wine from Tuscany, Vino Nobile. Change the name from Vino Nobile to just “Montepulciano” and suddenly the wine is something else for most people asking for it. Already there is enough confusion between these two very distinct styles because they share the word in the name: Montepulciano. Vino Nobile di Montepulciano DOCG was one of the first regions in Italy to receive DOCG status in1980, next to Brunello and Barolo. The name of DOCG can be traced back to at least 1685 where, in the popular wine travel literature, Bacco di Toscana (Bacchus in Tuscany), it was said, “Montepulciano, of every wine, is king”. Even further back – bronze wine goblets from the 4th Century BC Etruscan era were excavated around the Tuscan town. How can the blanching of cultural history be a benefit to winemakers, Italy or Europe? Snapping off the Vino Nobile part of the name, the European Union aims to iron out duplications in wine regions. The EU is particularly agitated by the sometimes fantastical names of Italian wine producers which can make it confusing for the customer. This is their beige dream, I will take the colourful one: a wine that says something of the place, not even so much as that, a wine that says something. Is this not also the purpose of the European Union after all, to protect cultural heritage? Posted in News, Tuscany. RSS 2.0 feed.